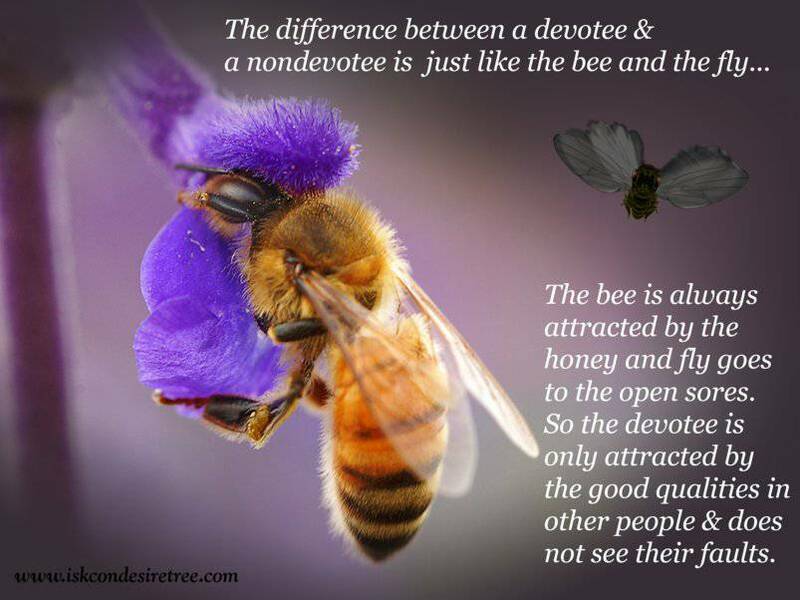 The difference between a devotee & a novdevotee is just like the bee and the fly.. The bee is always attracted by the honey and fly goes to the open sores. So the devotee is only attracted by the good qualities in other people & does not see their faults.